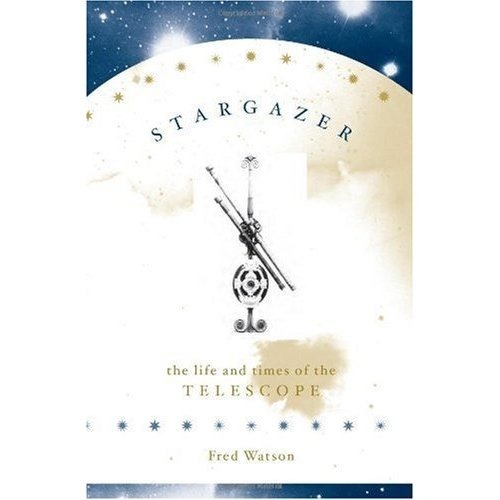 This post is a review of “Stargazers:The Life and Times of the Telescope” by Fred Watson. It traces the history, and development of the telescope from a little before its invention in 1608 to the present day. The book begins its historical path with Tycho Brahe, a Danish astronomer who lived 1546-1601. He built an observatory, Uraniborg, on the Danish island of Hven in view of his patron, King Frederick II of Denmark. Brahe’s contribution to astronomy were the data which were to lead to Johannes Kepler’s laws of planetary motion and ultimately Isaac Newton’s laws of gravitation. On the technical side his observatory represented the best astronomy of pre-telescope days with the use of viewing sights, his Great Armillary with it axis aligned with that of the earth and graduated scales to measure angles. Watson also cites him as a first instance of a research director running a research institute – alongside the observatory he ran a print works to disseminate his results. The telescope was first recorded in September of 1608, when Hans Lipperhey presented one to Prince Maurice of Nassau in the Netherlands. Clearly it was a device of its time since in very short order several independent inventions appeared, Galileo constructed his own version which led to his publication of “The Starry Messenger” in 1610 which reports his observations using the device. The telescope grew out of the work of spectacle makers; there are some hints of the existence of telescope-like devices in the latter half of the 16th century but these are vague and unsubstantiated. Roger Bacon and Robert Grosseteste both conceived of a telescope-like device in the 13th century, around the time the first spectacles were appearing. Although there are a few lenses from antiquity there is no good evidence that they had been used in telescopes. The stimulus for the creation of the first telescopes seems to have been a combination of high quality glass becoming available, and skilled lens grinders. The lens making requirements for telescopes are much more taxing than for spectacles. The technology required is not that advanced, if you look around the web you’ll find a community of amateur astronomers grinding their own lenses and mirrors now using fairly simple equipment, typically a turntable with a secondary wheel which produces linear motion for the polishing head back and forward across the turning lens blank. The most technologically advanced bit is probably captured in the first step: “acquire your glass blank”. Through the 17th century refracting telescopes were built of ever greater length in an effort to defeat chromatic aberration which arises from the differential refraction of light as a function of wavelength (colour) – long focal length lenses suffered from less chromatic aberration than the shorter focal length ones which would allow a shorter telescope. Johannes Hevelius made telescopes of 46m focal length (physically the telescope would be a little shorter than this), mounted on a 27m mast; Christiaan Huygens dispensed with the “tube” of the telescope entirely and made “aerial telescopes” with even longer focal lengths, up to 64m. It was known through the work of Alhazen in the 10-11th century, and others, that reflecting, curved-mirrors could be used in place of lenses. A telescope constructed with such mirrors would avoid the problem of chromatic aberration. However, the polishing tolerances for a reflecting telescope are four times higher than that of a lens. Newton built the first model reflecting telescope in 1668 but no-one was to repeat the feat until John Hadley in 1721. Theoretical understanding of telescopes developed rapidly in the 17th century both for refracting and reflecting telescopes, indeed for reflecting telescopes there were no fundamental advices in the theory between 1672 and 1905. The problem was in successfully implementing theoretical proposals. Newton claimed that chromatic aberration could not be resolved in a refracting telescope, however he was proved wrong by Chester Hall Moor in 1729, and somewhat controversially by John Dollond in 1758 who was able to obtain a patent despite this earlier work (which was defended aggressively by his son) – the trick is to build compound lenses comprised of glass of different optical properties. Also during the 18th century the construction of reflecting telescopes became more common, William Herschel started building his own reflecting telescopes in 1773 with the aid of Robert Smith’s “Compleat system of opticks”. Ultimately he was to build a 40ft (12m) telescope with a 48 inch (1.2m) mirror in 1789, supported by a grant from George III. During his lifetime Herschel was to discover the planet Uranus (nearly called George in honour of his patron), numerous comets and nebulae. At the time “official” astronomy was more interested in the precise measurement of the positions of stars for the purpose of navigation. Herschel was to be followed by Lord Rosse with his 1.8m diameter mirror telescope built in 1845 at Birr Castle, this has been recently restored (see here). He too was interested in nebula and discovered spiral galaxies. During the 19th century there were substantial improvements in the telescope mounts, with engineers gaining either an amateur or professional interest (men such as James Nasmyth and Thomas Grubb). Towards the end of the century photography became important, which placed more exacting standards for telescope mounts because to gain maximum benefit from photography it was necessary to accurately track stars as they moved across the sky to enable long exposure times. This is also the century in which stellar spectrography became possible with William Huggins publishing the spectra of 50 stars in 1864. Léon Foucault invented the metal coated glass mirror in 1857 which were lighter and more reflective than the metal mirrors used to that point. As the century ended the largest feasible refracting telescopes with lens diameters of 1m were just around the corner, above this size a lens distorts under its own weight reducing the image quality. In 1930 Bernhard Schmidt designed a reflecting telescope which avoided the problem of aberrations away from the centre of the field of view making large field of view “survey” telescopes practicable. As a youth in the 1970s I learnt of the 200-inch (5 metre) Hale telescope at Mount Palomar, since then space telescopes able to see in the infra-red and ultra-violet as well as the visible have escaped the distortion the atmosphere brings; adaptive optics are used to counteract atmospheric distortion for earthbound telescopes and there are “distributed” interferometric telescopes which combine signals from several telescopes to create a virtual one of unfeasible size. Watson mentions briefly radio telescopes and in the final chapters speculates on developments for the future and gravitational lensing – natures own telescopes built from galaxies and spread over light years. I enjoyed “Stargazers” as a readable account of the history of the telescope which left me with a clear understanding of its principles of operation and the technological developments that enabled its use, it also provides a good jumping off point for further study. My Evernotes for the book are here, featuring more detailed but slightly cryptic notes and links to related work. I would like to point out that the book is also largely historically accurate unlike quite a lot of other popular telescope literature. 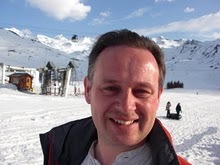 Thanks – not having a background in the area it is sometimes difficult to tell!